Have you ever taken the time to consider what kind of impression your company’s website is leaving on your visitors? Are you positive that they’re walking away from what they see online and feeling the way that you want them feel about your business? It’s important to take the time to check over these things every once in a while to ensure that you’re conveying your message and value proposition with a sense of clarity and vision. If today marks the beginning of a new change for your online image, you should definitely give Associate premium WordPress theme a try. Associate is a quality template offered up by the folks at StudioPress who have shown that they truly know what they’re doing when it comes to developing and designing top-notch themes. They’re the group responsible for putting out the highly acclaimed Genesis Framework, which powers all of their child themes throughout their site. This pairing of framework and child theme provides unparalleled flexibility and power when working on your site. 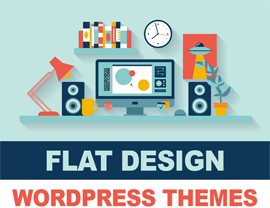 Gone are the days of cookie-cutter designs that must be used by all who purchase a theme. Instead, Associate offers up plenty of features for you to customize your website to your exact specifications. Four color styles come standard with Associate theme, along with three layout options and the ability to implement a custom background image. All of these combined allow for easy branding and marketing of your site so that it quickly assumes your identity and starts to feel all your own. Additionally, if you’re not a coding ninja you’ll be pleased to know that Associate comes with all widgets and elements styled right out of the box. This means that you won’t have to waste any time fooling around with PHP template files or CSS styles. Instead, you’ll be off the ground before you know it and working on what you do best: running your business. Furthermore, in this age of increasing social connectivity, it’s crucial that you have a way to interact with your consumers. 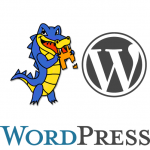 Fortunately, since Associate premium theme is built on WordPress, it comes with all of that lovely blogging goodness you’ve come to know and love over the years. 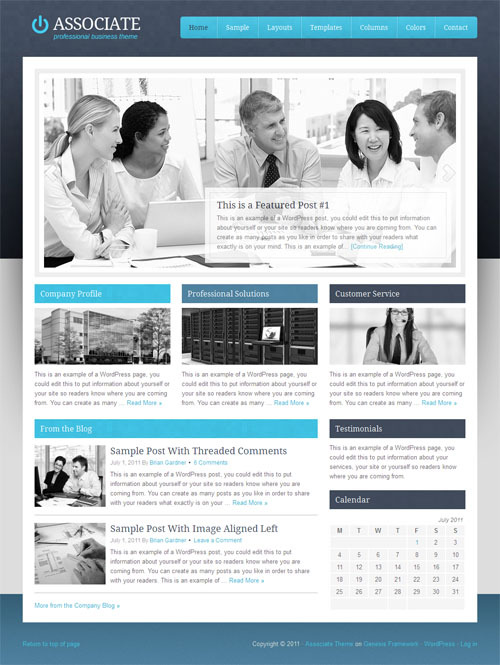 There’s really no shortage of ways that Associate premium theme can’t help out your business. Spend a little time checking out the features below and the live demo at the end of this post as this is the best way to get a sense of any theme to see if it will be a good fit for what you are trying to accomplish. Enjoy!